Every time Zimbabweans get frustrated by any mobile network operator, they bemoan the absence of real competition that has the potential to shake things up. Consumers have been crying for a new player in telecoms. Now it looks like it’s going to happen, and by the end of this year actually. We recently received information that a group of local investors that include Dr Shingi Munyeza (the former CEO of African Sun) and Francis Mawindi (the former CEO of Telecel Zimbabwe) are at a marked stage in the setting up of a new service provider in the telecoms space. According to the information, this new operator will be focused on acquiring spectrum and building, owning and maintaining a 4G Long Term Evolution (LTE) network supported by a national fibre optic backbone and back hauling network to effectively market and deliver triple play and related products. The information also stated that the new operator (no name has been provided yet) is set to become a full-service mobile operator and VAS provider. The focus on LTE will not only mark it as competition to the three players in local telecoms; Econet, Telecel and NetOne, but it will also provide capacity for it to be a provider of Pay TV services. When we spoke to Dr Munyeza, he confirmed his involvement in this new telecoms company but did not get into more detail. Too early for LTE or just the right time? There are many ways to look at at the entrance of a new player in this field. If this newbie captures the right market size with the best sort of delivery, the 4G/LTE player could offer serious competition to the three mobile operators that haven’t taken a huge bite into the advanced data market. In Zimbabwe, LTE doesn’t have a huge footprint yet because of issues like the low penetration of LTE-ready devices and costs involved in the setup of its infrastructure. This infrastructure challenge is reinforced by the fact that the 3 MNOs have managed to secure revenue lines in data and broadband through extensive 2G and 3G networks which they continue to invest in extensively. 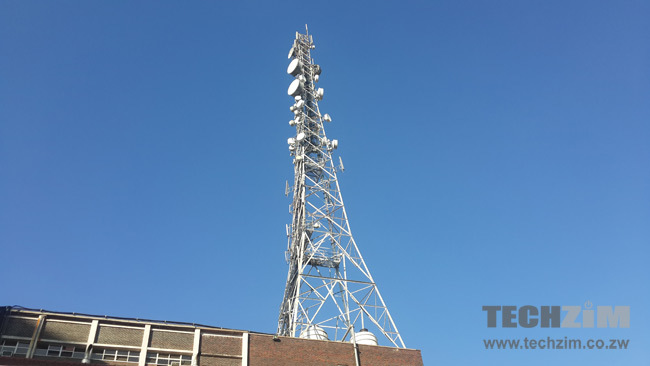 As it stands, Econet has been the only operator to try out LTE, albeit on a limited scale, and NetOne only recently received a huge capital injection from the government to expand its network and gear up for LTE services. It’s interesting to note though that a lot of NetOne’s turnaround efforts have been pinned on this LTE revolution. For this new operator that’s focused on LTE, a smart market strategy leaning heavily on device rollout (Note to Econet, Telecel and NetOne, that’s how other markets do it) and strategic segmentation could work, especially if this network also focuses on additional services like Pay TV, something that we have seen more recently in Kenya where Safaricom launched its own set-top box after the country’s digitisation. However, this won’t be a cake walk. There are serious long-term investments that always haunt any telecoms and broadband investor. These are the war stories that every person who gets into the sector will share at some point. The returns always look huge, and as a key pillar in the rollout of tech, telecoms and internet services have got the allure of a gold rush. But, like mining itself, the huge returns only come after sinking a lot of sweat and capital into the ground. It’s something that seasoned local investment vehicles like Masawara have come to learn through their involvement in Telerex. In any case, I’m excited at the thought of player number four. Numbers one to three might have gotten too comfortable in class and a new kid with the right drive just might get everyone to pull their socks up. Peer to Peer comms in Zim is dead. That leaves exit traffic to the which requires fat bandwidth pipes to accord traffic. LTE is bandwidth monster, how are these guys going to address that? Peer to Peer comms in Zim is dead. That leaves exit traffic to outside world which requires fat bandwidth pipes to accomodate that traffic.
. It is important to note also that they may enter a dark fiber agreement where they lease cable which is not metered but rather maintained. They may also leverage OPGW schemes… their options are limitless really. The challenge I believe is in the initial startup and what areas you will cover. If the equipment is VoLTE capable that brings into question what devices will be able to handle the calls. This is all very exciting but will this be enough to sway people from the sub 40packages on fiber in exchange for mobility? As a tech guru I would be the first to jump on this band wagon as an early adopter! In this economy its hard to just come and rollout LTE and not have fallback technologies (2G & 3G). These are companies that will only have network in Avondale, Sam levy, Joina center, Meikles and Bulawayo just to attract high end customers. This will just be hotspot LTE with not much revenue. What are their LTE rollout plans? This will be just another Masawara case. They should buy the 40% in Telecel and push for the LTE implementation. if they go route of building own infrastructure, they are doomed. if they go way of waiting for government to force incumbents to share on friendly terms, they are doomed. whoever gives them the money has to wait for at least 15 years for a return. Observer seems to have an agenda regarding this project. Why would you talk of failure to launch? Do you know something we don’t about this project or you are one of those jealous people who do not want to see progress being made in the sector. Maybe you have failed. I smell a rat…..
A lot of negative comments but what you dont realise with LTE or even 3G is that its not solely the standard mobile data and Voice you earn money from, look at most Tier 1 countries..its about the services you offer over that network and i could think of many opportunities from mobile to fixed that can be supported on an LTE backbone, yes not from day 1 but this is an investment. Dont get me wrong their entry position will put them at a disadvantage, i mean trying to take a portion from the existing providers, what can they offer that the other networks cant..if they reduce prices then they will be broke in a year unless they have someone with a fat i mean really fat wallet backing them up…. Zimbabwe has 13 registered telcos. A 4th operator is both a waste of time and money. Ask Brodacom or Africom. But hey talk is cheap.People cant even roll out full GPRS and they talk LTE. Its a noble idea but their entry level is not compatible to the Zimbabwean Economy yet. 4G and LTE Technology has a huge potential, especially with increased appetite for video streaming and like.The challenge is that it needs huge infrastructural investment, of which it needs a lot of money and time and as long its done in piecemeal fashion its bound to fail. Secondly, Econet might not be going into full throttle in 4G technology because it does not have real competition, but once a seemingly strong player enters the fray, we might see a huge investment in LTE technology by Econet just to bury out competition.Unless if this new player has some unique strategy to fight Econet, I see it suffering a still birth as Econet has shown in the past, it will use its monopoly status to stifle out any competiotion. with the way the existing mobile operators are taking people for a ride with uncompetitive prices and dstv increasing prices monthly and decreasing content simultaneously, im no fundi but if these guys can just tackle it from a dstv perspective alone they can realise money through viewership and advertising not to mention data as i assume that 4G will come with better speeds hence a higher uptake. i just assume, in my own humble opinion.